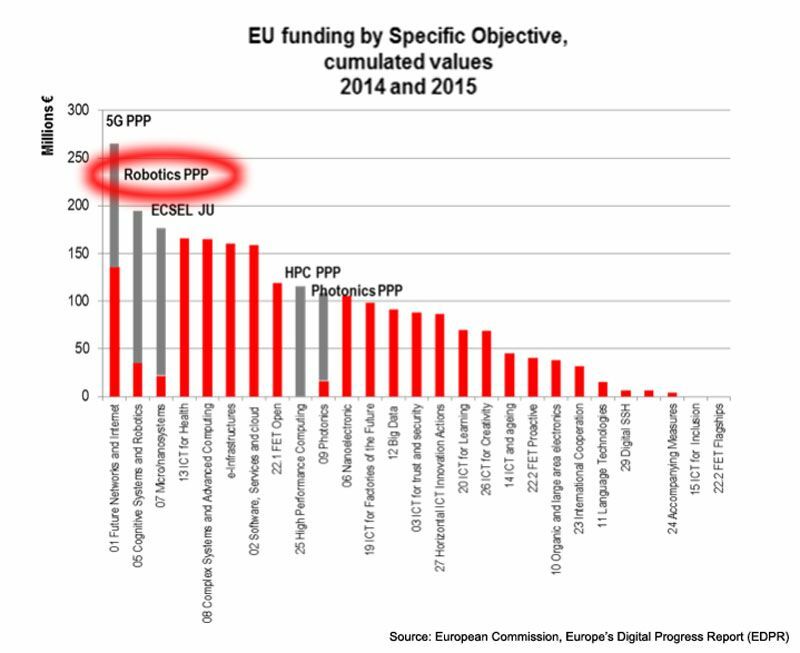 Over the past two years, research in 5G and robotics PPP projects have received the highest funding awards within Horizon 2020, the EU’s research and innovation program. PPPs are Public-Private Partnerships which align private and public research objectives under one sponsored umbrella and channel those efforts in specifically funded projects. Of 850 projects involving 3,312 groups receiving $2.7 billion (€2.4 billion) in European Union funding as part of Horizon 2020’s first two years of implementation, the Private Public Partnership (PPP) for 5G accounted for $290 million (€260 million) in funding while Robotics PPPs attracted $213 million (€190 million). The report does not account for private funding coming on top of EU funding. The most recent 21 robotics projects to receive Horizon 2020 EU funding were detailed in a recent post on Robohub by Sabine Hauert. 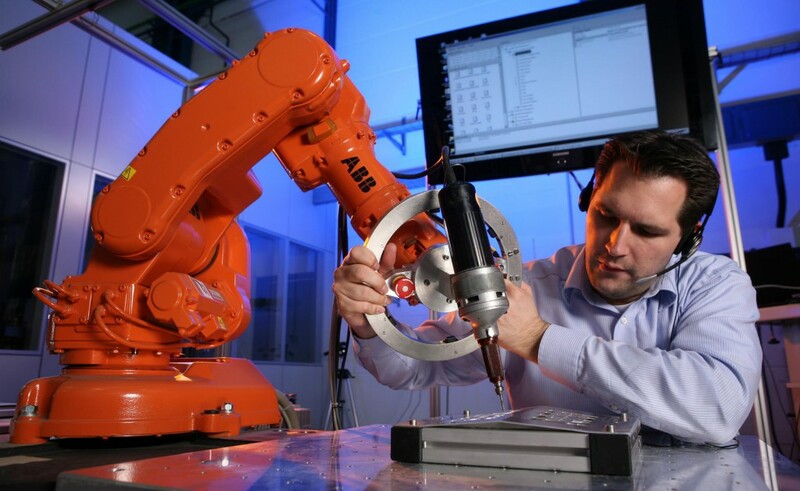 The Partnership for Robotics in Europe (SPARC) is a public-private partnership of 180 companies and research organizations and represents the EU’s strategic effort to strengthen Europe’s global robotics market, with the goal of increasing Europe’s share of that market to 42% (a boost of €4 billion per year). As part of the project, the EU will invest €700 million and industry will provide an additional €2.1 billion. Application areas emphasized by SPARC include: manufacturing, healthcare, home care, agriculture, security, cleaning waste, water and air, transport and entertainment. With €700M in funding from the Commission for 2014 – 2020, and triple that amount from European industry, SPARC is the largest civilian-funded robotics innovation program in the world.